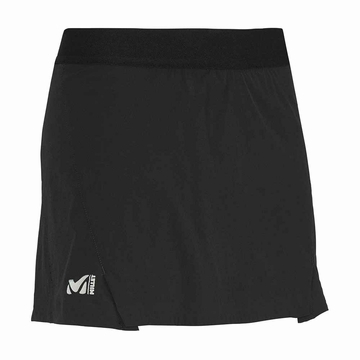 Offering minimalist high-precision comfort, this skirt cultivates style and performance in the mountains. 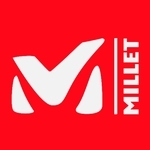 To stay focused on your route, the polyamide/elastane MILLET XCS 30 adapts to the level of in tensity, providing optimal breathability in a very lightweight package thats particularly resistant to tearing. The high-stretch LD INTENSE SKIRT offers ergonomics tailored to alpine fluidity, promising fast hikers total freedom of movement. This model erases constraints with the pure feminine vibe of an elastic waistband and built-in stretch boxers, preshaped for highly breathable, friction-free comfort. Produced with eco-friendly care, it is quick drying and also functional with 2 stash pockets - handy for energy gels and gloves.